Carolyn Merchant's foundational 1980 book The Death of Nature: Women, Ecology, and the Scientific Revolution established her as a pioneering researcher of human-nature relations. Her subsequent groundbreaking writing in a dozen books and over one hundred peer-reviewed articles have only fortified her position as one of the most influential scholars of the environment. 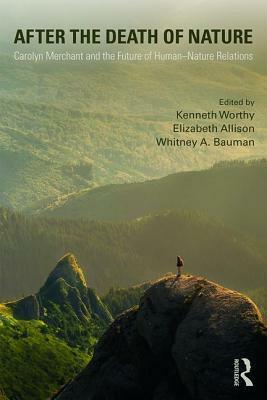 This book examines and builds upon her decades-long legacy of innovative environmental thought and her critical responses to modern mechanistic and patriarchal conceptions of nature and women as well as her systematic taxonomies of environmental thought and action. Seventeen scholars and activists assess, praise, criticize, and extend Merchant's work to arrive at a better and more complete understanding of the human place in nature today and the potential for healthier and more just relations with nature and among people in the future. Their contributions offer personal observations of Merchant's influence on the teaching, research, and careers of other environmentalists. Kenneth Worthy is research associate at the University of California, Santa Cruz and lecturer at the University of California, Berkeley; St. Mary's College of California; and New York University. His research explores the cultural, psychological, philosophical, and phenomenological aspects of the nature-culture divide in modern society. His book Invisible Nature: Healing the Destructive Divide between People and the Environment was published by Prometheus Books in 2013, and he writes The Green Mind blog at Psychology Today. He earned his Ph.D. at U.C. Berkeley in 2005 under the direction of Carolyn Merchant. Elizabeth Allison is Associate Professor of Ecology and Religion at the California Institute of Integral Studies in San Francisco, where she founded and chairs the graduate program in Ecology, Spirituality, and Religion. Her research and teaching explore connections between religion, ethics, and environmental practice, with particular attention to biodiversity, waste, ecological place, and climate change. The Earth Charter and the World Bank's Development Dialogue have cited her research on the religious response to climate change. Her articles appear in WIREs Climate Change, Mountain Research and Development, the Journal for the Study of Religion, Nature, and Culture, and in edited volumes on Bhutan, religion, and geography. She is working on a book entitled The Political Ecology of Happiness: Religion, Environment, and Development in Modernizing Bhutan. A former Fulbright scholar, she holds degrees in environmental management from the University of California, Berkeley and Yale University, and in religion from Yale and Williams College. Whitney Bauman is Associate Professor of Religious Studies at Florida International University in Miami. He teaches and lectures on science and religion, religion and nature, and religion and queer theory. His books include Religion and Ecology: Developing a Planetary Ethic (Columbia University Press 2014), Theology Creation and Environmental Ethics (Routledge 2009), with Lucas Johnston Science and Religion: One Planet, Many Possibilities (Routledge 2014), and with Kevin O'Brien and Richard Bohannon, Grounding Religion: A Fieldguide to the Study of Religion and Ecology (Routledge 2010). He is currently working on a manuscript that examines the religious influences on Ernst Haeckel's understanding of the natural world.